Any new skill requires practice, failure and fine-tuning to become proficient. The practice of losing and managing weight is no different. Each day, you will encounter small successes and failures that will require you adjusting your approach. The challenge is to see these failures as opportunities to refine your plan rather than let them undermine your progress. 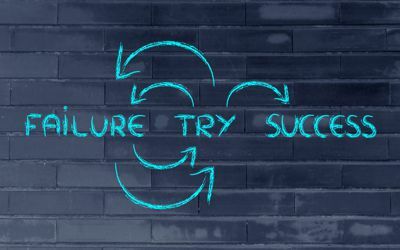 In fact, every failure brings you one step closer to success and is a natural part of the learning process. In this podcast, Dr. Vaughn discusses how practice and failure is a necessary and inevitable part of the weight loss process. Listen to more DelaneMD Podcasts on www.delanemd.com, iTunes, Spotify, Stitcher and Google Play.